We’re working on a wet felted Easter project today at the CraftSanity headquarters. This is our first wet felted project since investing in a front loader washing machine, so it’s all very experimental. My goal is to successfully complete the project without busting the machine. 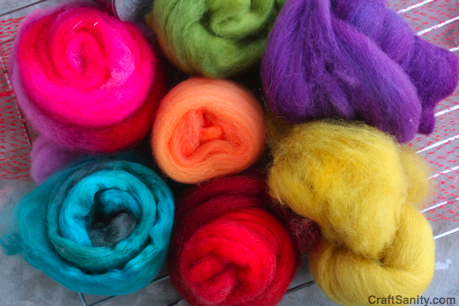 Have any of you done any wet felting with wool roving using a front loader? Feel free to share your tips in the comments below. A Crocheted Flower and a Reminder: CraftSanity Magazine Issue 3 Advertising Deadline is May 1.